Alex Alsemgeest (1980) is a Dutch book historian and bibliographer. He is currently working on the Leufsta collection at Uppsala University Library. His professional interests include topics in the fields of book trade, natural history, the history of libraries and collections and Swedish-Dutch cultural history. As a bibliographer, Alex has been on the road a lot and catalogued early modern books for the Short-Title Catalogue, Netherlands in Dutch and Swedish libraries. 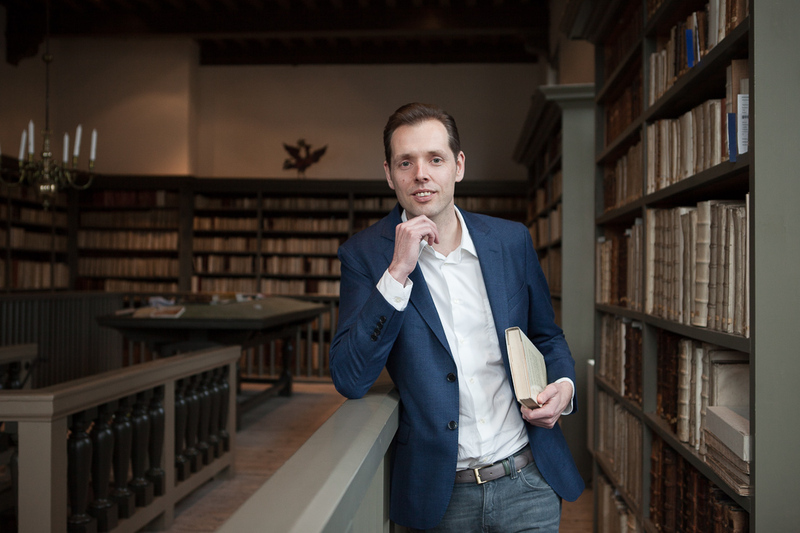 Previously, he worked on the Bibliotheca Carcinologica at Naturalis Biodiversity Center and the Grotius collection at the Peace Palace Library. Publications by Alex include peer-reviewed articles, popular work and blog posts. The book In krabbengang door kreeftenboeken (2016) won a nomination for the Jan Wolkers Prijs for the best nature book of the year. His master thesis Dutch connections in Swedish collections (2017) was nominated for the Elsevier/Johan de Witt-scriptieprijs in October 2017, and honored with the Dr. P.A. Tiele-Stichting scriptieprijs in April 2018.